Tha author didn't put any work into it. 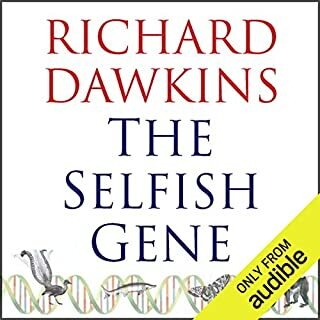 If you want to hear the whole audiobook just listen to the example. It has a short narrative followed by an endless string of annoying noise. 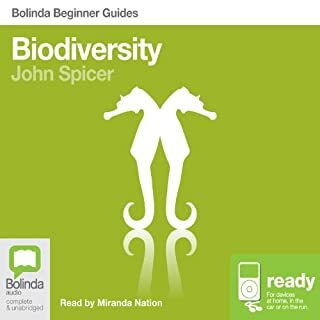 Biologist John Spicer shows how closely our future is linked with that of biodiversity while navigating listeners through some key problems facing our planet, including mass extinctions, population explosions, habitat destruction, and pollution. Along the way, he provides valuable insight into the impact humans have had upon the earth and its inhabitants, whether efforts such as ecotourism really help, and how scientists and economists calculate the "value" of biodiversity. 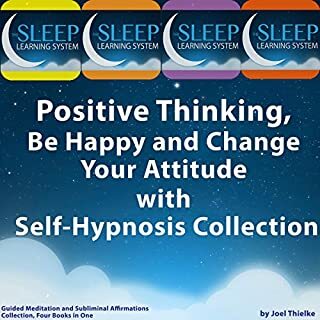 Whilst this book has relevant information in regards to it's content I was left listening to this book with my guard up. I could not get comfortable and put my guard down and I had a complete and utter lack of trust and respect for the author. It ruined my whole experience and I'm sure that he only put the relevant stuff in to white wash the fact that in every chapter he used a tactic called poisoning the well. At the beginning he made it quite clear that he was about to disappoint and offend readers. He suggests reading another book if you're not happy with proselytization, he didn't say proselytization, he said "facts" those who are interested in the facts. Only an apologist speaks like that. It's presented in a wishy washy fashion and you then get to the end of the chapters and at the end he finds a way to falsely equivocate the topic with the Bible or scripture or a saint. None of which have any relevance to the topic in the least. At the end I was met with a spiel about how his god did it all and that we should respect god. He makes no apology for the fact that he has book has nothing but the bare bones of the topic and that it was tainted with religious proselytism. Thoroughly disappointed. I spent the whole time thinking he was going to attribute it to creation and that he was going to point out intelligent design. In the end it was merely implied. In the end I was thoroughly disappointed with the presentation of the talking points. It was as though there was no effort put in at all. The book should read biodiversity, Jesus did it. Then thrown in the fiction section with the rest of the religious books. Although outdated and superceded now this classic was a great way to pass a few idle hours. It was interesting to see that a few concepts we take for granted now were so muddled such a short time ago. worth every second spent.